There are many ways to lose those extra pounds you are coping with. Whether it is exercise, the latest diet pill or a strict diet regiment. One of the most important factors of getting fit and losing weight is about what you are putting inside your body. An easy and very healthy way to lose weight is through drinking more water. 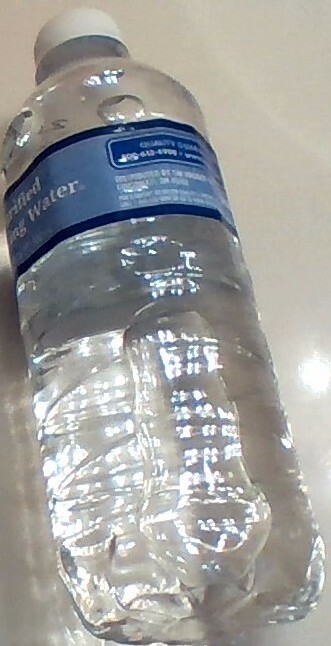 If you look it up you will find that an adult body is made up of about 50 to 60 percent water. Making water the single greatest and most important ingredient and building block of our bodies. The numbers vary slightly according to gender and age. Women are made up of about 50 percent water, men about 60 percent and a baby even for up to 75 percent water. Our bodies use about 2.5 liters of water per day by means of our bodily fluids. These fluids are lost in the forms of sweat, released when breathing, and when going number one and two. A quick way to refill this is by drinking and eating various liquids and solids containing water. The best way is of course to grab a glass of water. A lot of us like to drink a cup of coffee, grab a beer, sit in the sun to get our tan on or perhaps drink some wine. Be very aware of what you do to your body. There are things that help replenish your water levels. However there are things, like the ones mentioned above, that actually dehydrate you. This means you will have to compensate for it. The general rule is that for every dehydrating drink, such as coffee or wine, you have to drink at least one glass of water. So every time you crank up that coffee machine, grab a glass of water to compensate for it. If you are prone to headaches this might be the cause. When you are overly dehydrated the brain tissue contracts more tighter for lack of water. This can cause headaches and can easily be overcome. Whenever you wake up with a headache, grab two big glasses of water and chuck them down in one go. Chances are your headaches will quickly subside. If you are one of those types that does not enjoy drinking water, try checking foods and liquids for water content. Try eating more vegetables and fruits as they contain a decent amount of water. An average person takes in about a liter of water per day through alternatives. This means you need to drink at least another 1.5 liters per day. At least. The magic of water can be found in many of its properties. One of it is that it does not contain any calories. This means that no matter how much water you drink, it will not add up to your daily calorie intake. What happens when you are trying to drink more water is that your metabolism starts going up in activity by a rough 3 percent. Making you naturally lose excess weight. Now how to lose weight really fast is by trying to scale your water intake up to a gallon/4 liters per day. The way this works is that you will no longer crave a lot of other liquids that often contain heaps of sugar. Sugar is bad for you and contains a lot of calories. Also your cells are made up of water predominantly. These little guys are the ones transporting all the toxic waste out of your body. 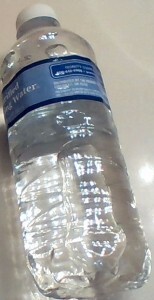 Drinking a lot of water increases the speed at which they dispose of the waste. This way you know exactly if you are on track. You simply have to empty the whole thing. Be sure to check in again for more health and fitness tips and tricks!